How to enable DirectX without launcher? Discussion in 'Support' started by Rocket Master, Jul 13, 2018. I didn't install FreeSO with the launcher, and I don't know how to enable this. 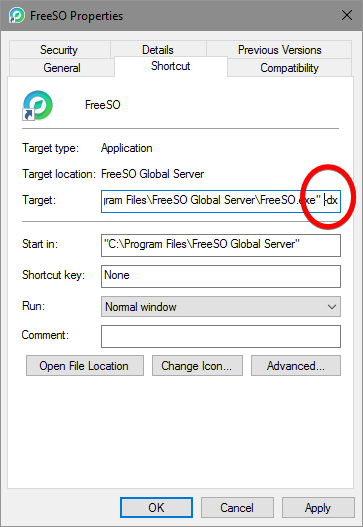 Create a shortcut to FreeSO.exe, right click the shortcut and click Properties. Then, add -dx to the end of the Target field. If you're interested in trying out 3D mode, you would also add -3d to the same field.